DO YOU WANT TO BECOME AN ENERGY HEALER? I offer you 5 Courses and Meditation sessions. BECOME an ENERGY HEALER and Change your life. A UNIQUE COURSE FOR A UNIQUE PERSON LIKE YOU! 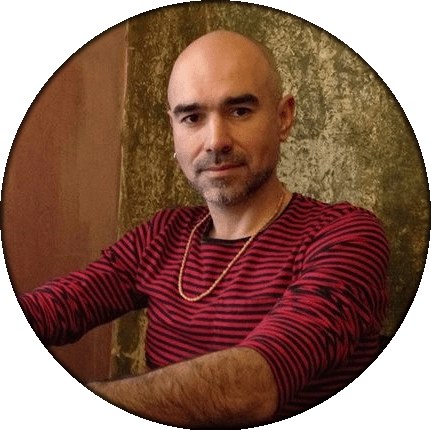 Developed by Carmel Sastre, combining Energy Healing with initiations/ attunement to Spiritual Healing Masters, Clairvoyance, the power of colours, magnetism the experience of amazing results with people, Intuition & Meditation. The course participants will develop their own abilities and this unfolding is an important and integral part of the students own development as an Aura and Chakra Energy healer. 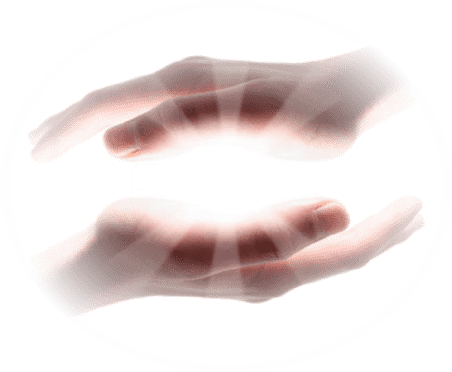 On completion of this programme you will be able to conduct independent energy healing sessions for yourself and others working out face to face or using distance or remote energy healing. There is a great deal of content and practice involved and the complete training that takes place is spread over a period of 5 intensive weekends (see below). Carmel Sastre will conduct the training and oversee all aspects of the students study, participation, progress and performance. 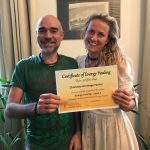 On satisfactory completion of all levels you will be awarded the AURA AND CHAKRA ENERGY HEALING DIPLOMA from Carmel Sastre and you will be able to perform energy healing sessions with self-confidence. Why my course? 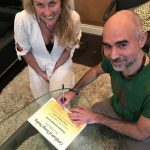 My course integrates different aspects that combine several techniques that you can’t find in one Energy Healing Course. I inititate you to several Healing Masters, you learn about the Chakras, the power of the colours and how to use them in which cases and when not. I also use clairvoyance tools. Check the calendar to know when and where do i do presentials courses. CURSO DE CHAKRAS E TÉCNICA DE MEDITAÇÃO para se enraizar e equilibrar os Chakras e Aura e mudar a sua energia. Also 1 to 1 private course by Skype available upon request (face to face or online. I also travel). 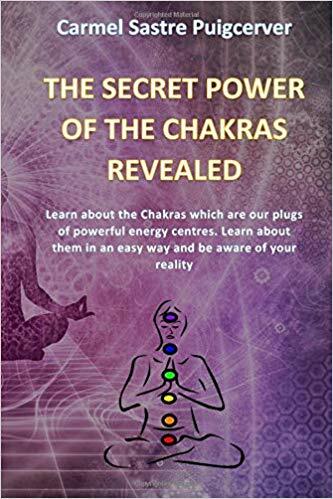 Discover the world of the Chakras! – 1st Chakra: You will be more grounded, focused in all situations, be more responsible with money, take more care of your physical body. Have more security and good in finances. More independent from your parents and accept the past. Be grounded. Physical health. – 2nd Chakra: Balance and enhance your sexuality and relationships (with good friends and partner) and allow you to be more creative. And enjoy life more without guilt. – 3rd Chakra: Develop self-confidence and power. Put into action the ideas you have and the creativity you generated in your 2nd chakra. Free Will. Able to set up boundaries. – 4th Chakra: Develop unconditional love to give love and receive it. Self-image, self-worth. It is also to do with self-esteem as the 3rd chakra. – 5th Chakra: Improve your communication in different aspects such as work and personal relationships. – 6th Chakra or 3rd eye: It develops your intuition and clairvoyance. – 7th Chakra: Connect with your spiritual side and universal energy and continue to develop your intuition and your personality. – What happens if a Chakra is balanced or unbalanced. Consequences of what happens if a certain chakra turns too fast or too slow / blocked. – The questions we can ask to know which chakras are not balanced. – How to discover if you have innate faculties in healing. – Cleansing a place (a room, a business, a house) through meditation. (In level 1 you will also learn how to do it not only with meditation but also using the Elemental Healing masters you will be attuned to). – The basic use of the pendulum. – Teaching and practice of a very powerful meditation technique through visualization to ground ourselves and flow energy from the earth and the universe. This will help and energize the Chakras. If you want to become an Energy Healer you need to know how the Chakras work and will need to have attended this course. If you practice Reiki or any other healing technique this course will help you 100%. Price: £150 in London and online by Skype. After completing Level 1 you will be able to provide healing sessions. For Spain (Denia, Costa Blanca – Valencia) March 2019 Exact dates to be confirmed! This course provides you with the basic techniques to provide a face to face healing session as well as distance / remote healing session. Through visualization you will learn how to cleanse your aura and chakras. You will learn how to balance the chakras and fill them with positive energy. You will work with the colour that is specific to each Chakra. You will learn how to bring energy into a room and how to use it to commence healing people as to clear and cleanse the space. You will also learn how to ground and protect yourself before a healing session. Meditation practice that will also develop your intuition and ground you allowing you to become more neutral, creative, realistic, more balanced, less insecure and more focused. You will tend to find yourself not taking life so overly seriously. You will be more relaxed, less judgmental and will be more at ease in accepting what happens in life. You will have more self-confidence and find that you do not care so much about the opinion of others. In other words you will be more in connection with yourself and your essence. You will be attuned with 2 Healing Masters. Therefore with this course you will be able to do a healing session. The Chakras, healing and meditation. Combine the 3 elements. Energetic cords, which ones to remove and how. Which ones not to remove. 2 intensive days ( and 1 extra day after 3 months to show how you do a healing session and explain the 5 case studies in detail). My certificate will be provided this day). You will be attuned to the Psychic Surgeons. This course involves a lot of practice with the Elemental Healing Masters combined as well with the Psychic Surgeons. You will practice aura and chakra healing, meditation through visualisation and channelling both earth and universal energy. In this level you will practice a lot of meditation to help change and shift your energy focussing on the Chakras. You will cleanse the layers of the Chakra and Aura with a healing session. You will cleanse and balance your Chakras: Spiritually, Mentally, Emotionally and Physically. Meditation with colours, grounding, flow energy and cleanse the whole Chakras through Meditation. How to scan with your hands. Magnetism. Centre the Chakras. Repair the holes and energy leaks in the Aura and Chakras. Practice. Use of a pendulum. Practice. Agreements and Affirmation for a Chakra. How to detect the blockages through the colours during a healing session. 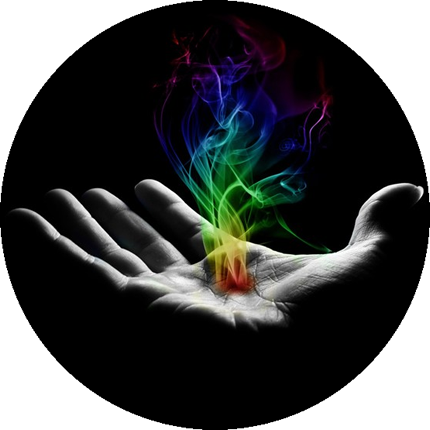 Practice of a healing session using the Elemental Healing Masters and the Psychic Surgeons. In this level you will be attuned with the Universal Masters (involves higher vibration Healing Masters). You will learn the power of the colours, the properties, the contraindications / side effects, the organs and Chakras that can and can’t receive directly colours and which ones. The secret power of the Colours in a healing session. Organs and Chakras that can’t receive directly the healing. The front and the back of the Chakras. Meditation practice with colours for the Aura and Chakras after grounding yourself and flow/channel energy. Healing session with the Universal Healers and Psychic surgeons and the use of colours. Aura Meditation and Chakra Meditation using the colours with what you learnt. Healing & Meditation with the Elements. • Earth Element • Fire Element • Air Element • Water Element. Permission Levels (with measurement. The use of an energetic screen). Develop your intuition. How to deal in a healing session combining all studied elements. In this level you will practice all what you learnt in the previous levels. We will talk about case studies. You will learn and practice energy healing using a combination of colours, Chakras and organs depending on the problem. Quick revision about the back and front of each Chakra. The contraindication of certain colours and the organs that should not receive directly the healing. Practice the Colours in Meditation and Healing sessions (Advanced level)..
You will practice healing sessions using the colours, taking in account the organs and Chakras that can and cannot be treated directly. You will use two of the problems below to practice. Practice of energy healing following the protocol and according to the unbalance. Note that Energy Healing is working with Energy but it is not a medicine or cure and does not replace the doctors and medical professionals. What is the difference between your Course Carmel and the other courses out there? The difference is that I integrate knowledge from different disciplines and I combine them all in the courses. I link Chakra Healing, Aura Healing, Meditation, The power of the colours in Healing, Grounding techniques and initiation to Spiritual beings. When healing you do not use your energy as you have the protection of the Spiritual Healing Masters that you are attuned to. You learn how to deal with each unbalance you find. 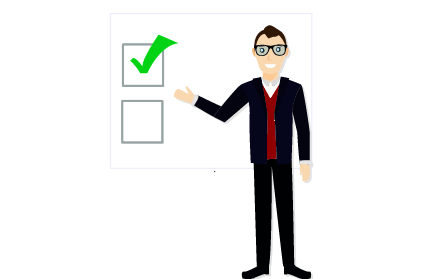 You wont find this course any where else as this cour is taken from the many customer experiences I have had as well as the different disciplines I studied and investigated. This course finishes by revealing the secrets of an integrated Energy Healing method. Por que razão devo escolher o seu método de Tratamento Energético ? You will be independent and self confident in doing a healing session, see the root problem of the person and know exactly how to work energetically with them. So many secrets are not revealed by others as I do in my courses. Será que qualquer um pode vir a ser um Terapeuta Energético? Yes everybody can become an Energy Healer. What happens is that some people have innate abilities and some need to acquire them. It is important to say that not all healers have the same vibration and power, If you want to do a comparison, it is like playing the piano. Everybody can learn, but not everybody will become a Beethoven, Chopin or Mozart. Temos que fazer exame ou testes? No. There are no exams, but you will need to provide 4 cases study after level 1. Two will be a face to face healing session and the other 2 distance healing. I will also do a following and see how you are performing. Qualquer pessoa pode estudar consigo e tornar-se um Mestre Terapeuta? No, not everybody. With my experience I have learnt who can learn with me. The person may start and reach level 1 or 2, but if I do consider that the person does not have to continue having my initiations I will invite them to find another Energy Healing Method. I am responsible about the knowledge that person acquires and the love energy of the person. If there is jealousy, lack of love, control with power and lack of honesty I will not allow them to continue with me. This is a person decision and when I teach and the person registers I say it very clear.. The purpose of the person is to work with love, that does not mean that they need to take advantage of him or her. Como é que eu sei que este é o curso apropriado? First of all see if you feel passion for the content of the course. 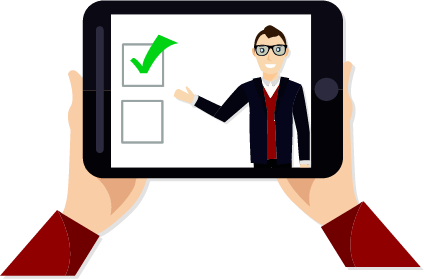 Second if you feel the passion for the course and to learn the skills, do you have passion in helping people? Third do you base your love in trust and love or do you have issues as rage, anger, jealousy, ….? If that is the case you may consider to receive healing sessions and decide after that. Fourth, do you really want to learn this unique healing modality? Ask you soul, your higher self. Do not ask you mind only. Share the voice of your mind and your soul and decide with your feelings. You will have the best answer for you if you do not only trust your logic and mind. Depois de frequentar os cursos terei autoconfiança para fazer tratamentos energéticos? ? Can you guarantee to a person that the healing works for the purpose the person comes to see you? No, never. I never guarantee anything by working with energy healing. The person can try and see if she receives any benefits.